This is a perfect build for leveling and/or grinding. It’s also nice for farming at level 80. First, find a HIGH DAMAGE main hand weapon, and generally, the slower the weapon, the higher the damage (2.6 speed or higher if possible). It’s most likely gonna be a mace or a sword. I personally try to go for maces, because I love ignoring 15% of my target’s armor while leveling, it feels more reliable and steady than the extra attack chance of sword specialization. -Because your sinister strike and riposte abilities are instant extra attacks, based on weapon damage. The bigger your weapon’s MIN-MAX damage is, the better. So generally it will mean finding a very slow weapon with very high MIN-MAX damage. Don’t mistake Weapon DPS and the Weapon Damage, they are too very different things. 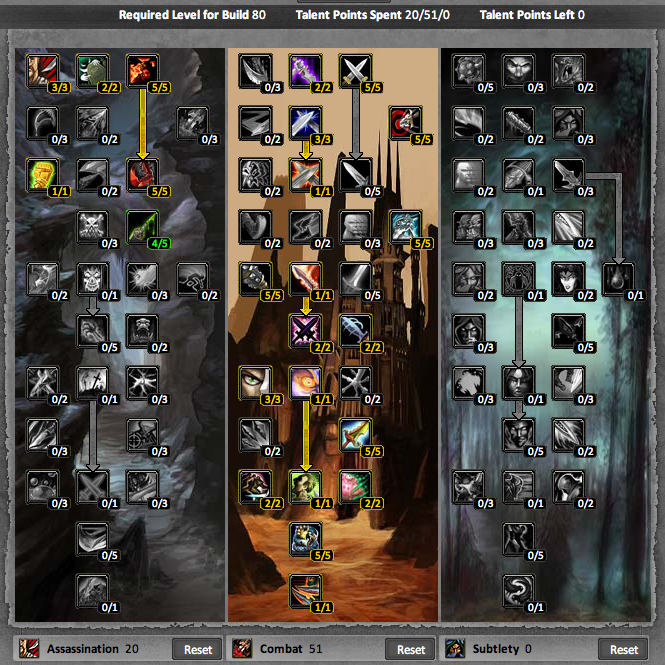 A dagger for example can have very high DPS but very low MIN-MAX damage, which is why daggers are bad for this build. It’s simple, with this build, you don’t really care if your main hand weapon is very slow, as long as the weapon damage is high. Since riposte and sinister strike are instant attacks, the slowness of the weapon is not a problem, only the dmg matters. Past level 60 you’ll be in Outland you should be fine with quest rewards. 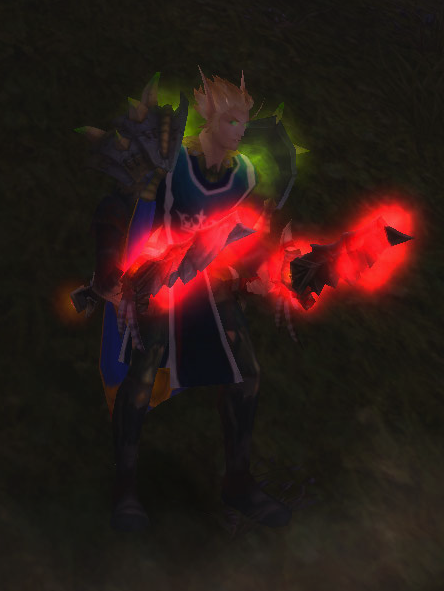 However, there’s a dire lack of one-hand maces in Outland, so you might have to respec to sword specialization if you can’t find any good mace. It’s not a big deal though, swords are just fine. -Combat potency gives you a chance on hit with your off-hand to get extra energy. The faster the off-hand, the more chances you have to proc combat potency. 1. Bone Dirk – Cheapest, it’s from a quest. Just follow the link to know which quest. 2. Sacrificial Kris of Agility, or of the Monkey, or of the Tiger. Buy it from the AH. There are other options, but these are cheap and honestly, you don’t need to blow your money on an epic or rare offhand, all that matters is that it’s quick, below 1.50 speed, 1.30 being the fastest possible. At level 50, you can invest in a Julie’s Dagger. It’s the quickest dagger you can get until Blood-Guided Knife, which is a quest reward from Terrokar.